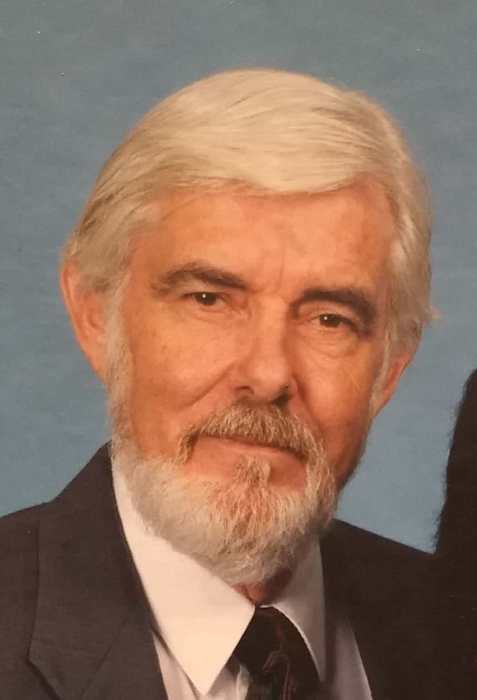 Paul Herron Tuckey passed away Wednesday, January 16, 2019 in Lakeland. Paul was born April 3, 1937 in Hagerstown, Maryland, the son of William and Sibyl. He was married to Florence “Ann” Foster on August 27, 1963 and they shared 55 years together, always there for each other through difficult times and happy days. Paul was a faithful member of Bible Presbyterian Church and helped with many projects at the church. He was also a member of North Lakeland Kiwanis, and the Lakeland Cruisers car club. Always a lover of cars, Paul owned many different ones and could be seen traveling Lakeland in style. He also liked to build things – from cabinets to docks to walls, he could build it. He was a good neighbor, always willing to help somebody in need. But to his heartbroken family, he was simply one of a kind and irreplaceable. He was preceded in death by brothers Freeman, Stuart, Bruce and Tony and sister, Doris, all of Orlando. He is survived by his wife, Ann Tuckey; his sister, Gloria Yates, of Orlando, and his daughter and son and spouses, Cyndi & James Futch of Tallahassee, and Jeff & Clair Tuckey of Lakeland. He is also survived by 4 loving grandchildren, Lauren, Nikki, Timothy & Olivia. Funeral services will be held at 1:00 pm, January 21, 2019 at Bible Presbyterian Church, 5635 N. Daughtery Road, Lakeland, Florida. Visitation for friends and family will be held from 12:00 pm to 1:00 pm, preceding the service.